Algae Kill (6 Lb) Trichloro, All Clear (AQT1083)) Calcium Shock (1 Lb) Calcium Hypochlorite 68% Chlorine-3" Tablets(5 Lbs)Trichlor 89% Avail. Granular Chlorine (50 Lbs) 100% Dichloro. 55/62% Available Cl. 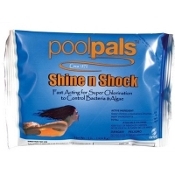 Shock, Algaecide, Dichlor(1 lb) PoolPals, Shine & Shock(PPSS001) Chlorine-3" Tablets (50 Lbs) Trichlor 90% Available Cl. 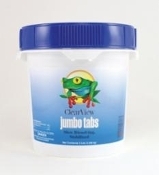 Chlorine-Granular (2lb) Dichloro 62% Available Cl.